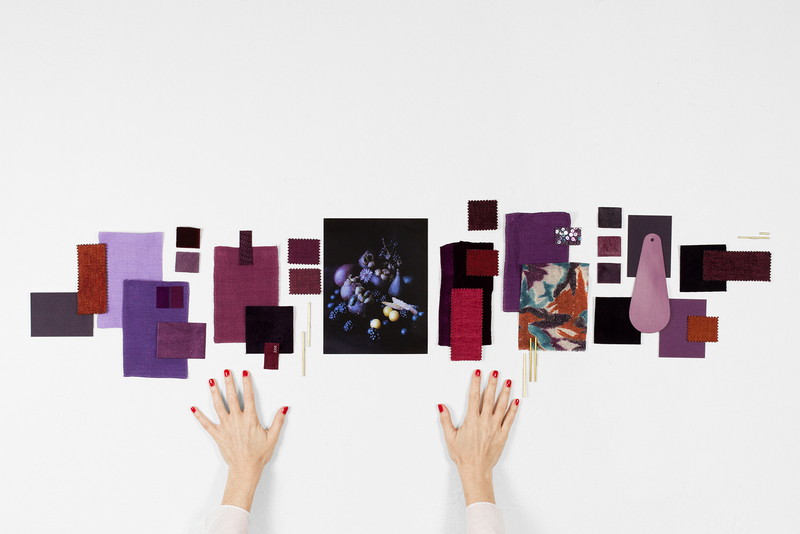 This is our Monthly Mood Board and second part of our How to create a tone-on-tone color mood board series dedicated to Violet shades. 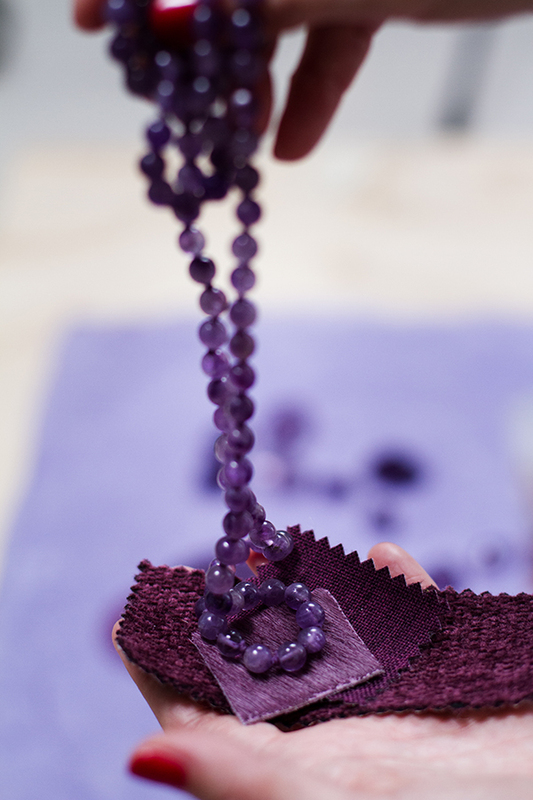 I was very intrigued to see if our color forecast on violet would be confirmed in Milan. At a certain moment I stopped taking pictures of the many evidences I saw, but I have to admit, in Italy deep violet is a cultural question dating back to garments that were exclusively worn by those in charge of a higher ecclesiastical office. 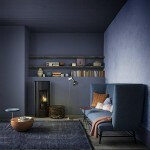 Whether they are trending or not, you will always find pops of red and violet design at any Salone del Mobile edition. If you are a regular reader, you will have noticed how many posts we have published on tone-to-tone color palettes. It was about time to translate these into mood boards. 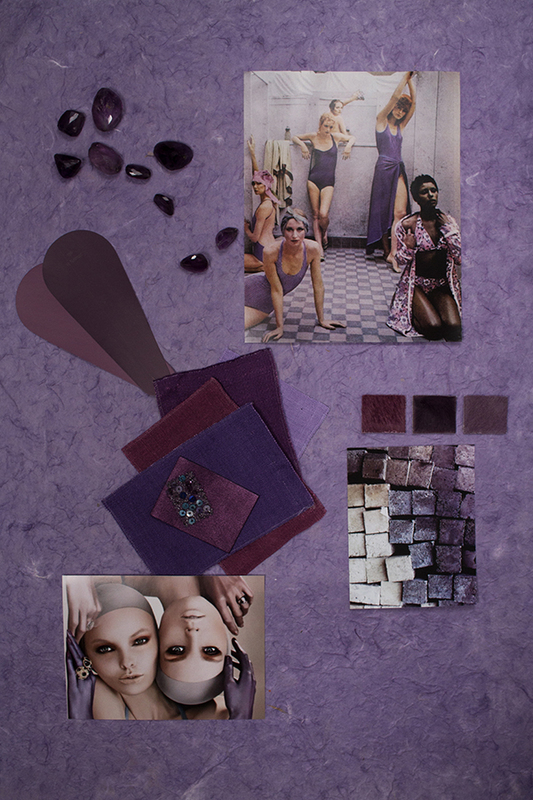 For this mood board, I decided to work on violet but include also wine, purple and lilac what means these color have more or less blue or red added. 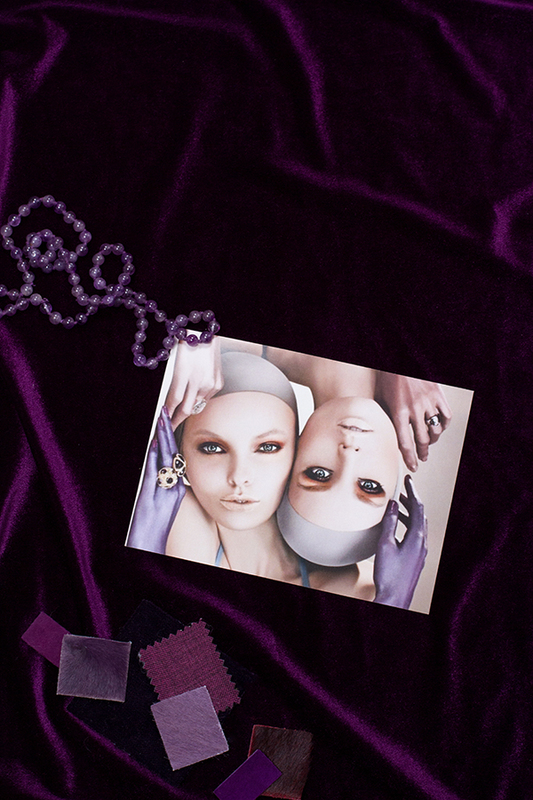 Violet is historically a color of power and wealth, represented on the board through semi-precious stones (amethysts), swatches of fur and velvet.However, I was interested in giving it a different less baroque edge, looking for imagery from Vogue from the 1970’s as a counterpart. 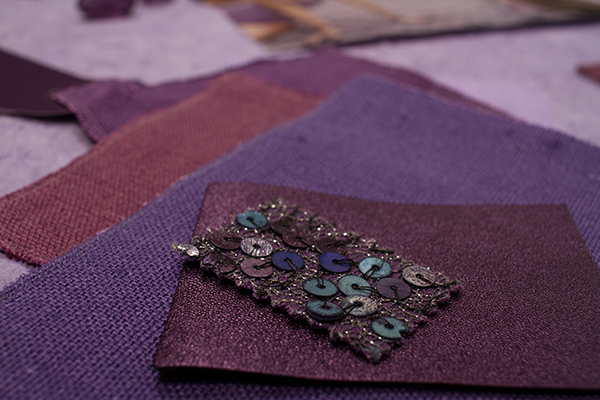 Textures are represented through elements such as fabric and color swatches, amethysts and a texture photography. 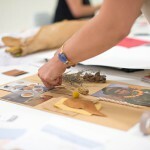 If you are interested in learning how to put a mood board together for professional projects, I have uploaded a new and last date for a masterclass in 2017. It’s going to be in October and I would love to share with you some of the most effective techniques I use. We have created a free ebook on how to set up your own trending tone-on-tone mood board. 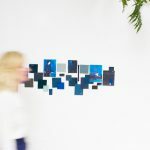 love it Gudy, you really inspire me to create a tone-on-tone moodboard! Super nice, love it! Thanks for sharing, Efrat!